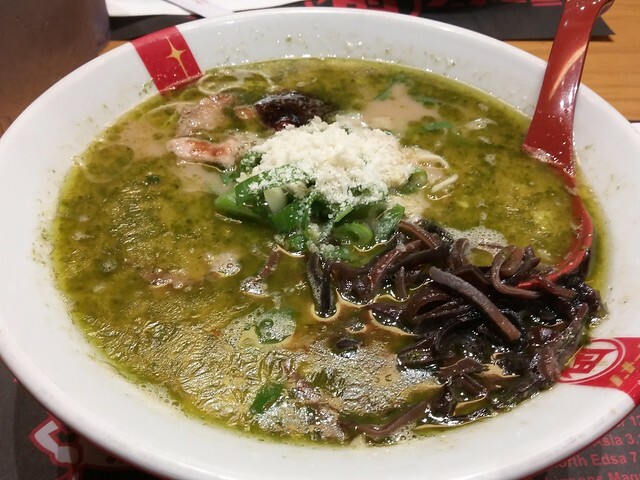 THIS PESTO-FLAVORED ramen is proof that weird food combinations work, like tomato ketchup + soy sauce, or banana + peanut butter. Never mind that it looks like vomitus; it's a work of gastronomical art. I will keep coming back. Wait, why is this post under less than 50? You can't mean it costs less than P50?